This entry was posted	on Friday, April 5th, 2019 at 1:16 pm	and is filed under Bootleg Theater. You can follow any responses to this entry through the RSS 2.0 feed. You can leave a response, or trackback from your own site. Talk about serendipity JJ – I literally googled this album this afternoon to see if there’s any word on a RI (as I’ve literally been doing on and off for far too long), and *BAM* The Obelisk drops a retrospective piece on it mere minutes prior. Hopefully this can garner The Machine’s coffee-fueled attention span & jump start some work on a repress…the orange Nasoni wax is listed for BUKU bucks. Funny side note – I stumbled across this album on the SMOD YouTube channel back in 2011, immediately after coming across Elder’s “Dead Roots Stirring”. Needless to say, both of these albums have been EXTRAORDINARILY inspiring in my musical chronicles, and have definitely pushed my audible tastes off into some really psychedelic tendencies. Really incredible piece of art this album is. Finding this and DRS right in a row is one hell of a day to remember. 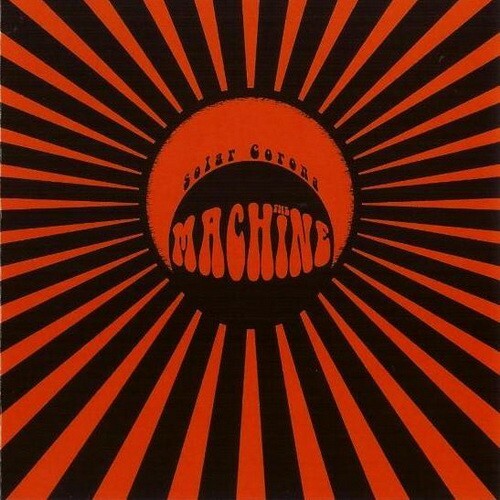 A reissue of Solar Corona would be awesome, especially now that The Machine are running their own label. Couldn’t agree more about Solar Corona. It’s their only lp I don’t have. I wonder what the odds are they would ever repress this gem? My friend has a copy but the price!!! Does the fact that Nasoni records released it have anything to do with rights I wonder? There goes another 0.272 seconds.